Crosswalks have been repainted near numerous primary schools on island. When Loop visited a few educational institutions this morning, workmen from the Ministry of Transport and Works (MTW) were busy at work. They were painting crossings directly outside of the Reynold Weekes Primary School in Four Roads, St. Philip; Vauxhall Primary School, Vauxhall, Christ Church; and Luther Thorne Memorial Primary, Wildey, St. Michael. Half of the crossings at each location mentioned were repainted as the workers were trying to avoid closing the busy main roads. One half of the roads are blocked at present with cones surrounding the painted half of each crosswalk. Over at Reynolds Weekes Primary, the Ministry of Transport and Works’ employees were busiest as they were installing a lighting system with flashing lights to accompany the newly painted crosswalk. In addition they were constructing sidewalks across from the schools as well. The most changes were occurring outside that school's gates this morning. At Luther Thorne Memorial, the Ministry employees were busy across the street fixing a broken manhole cover which would be dangerous to school kids. The open manhole is right alongside the crossing. Last year, one five-year old student at a St.Philip-based primary school was struck by a vehicle outside his school and he was hospitalized. 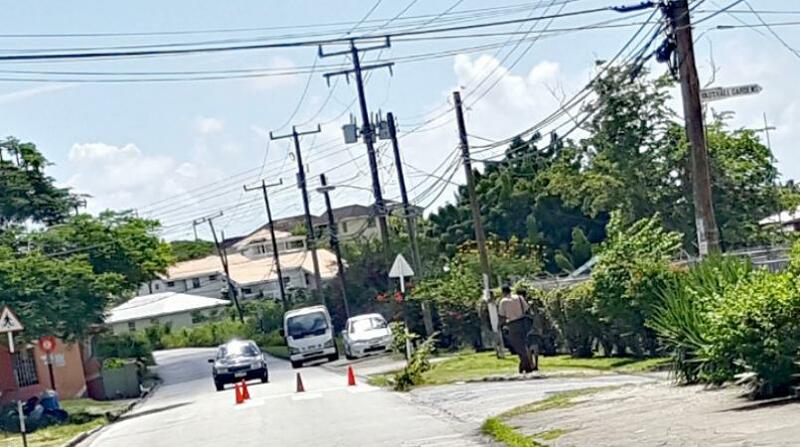 This led the Barbados Road Safety Association to appeal to motorists to reduce speed around schools and to exercise caution as they approach the school crossings.